Fried Plantain is very popular wherever Plantains grow. 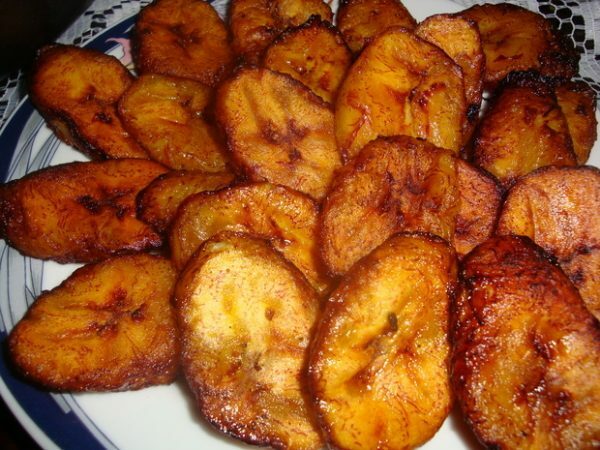 In Nigeria Fried Plantain is called “Dodo”, in Cote d’ivoire it is called “Alloco”. 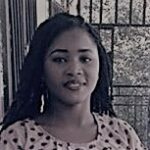 It is a very simple and fast Nigeria food recipes for breakfast, it is mostly served along side jollof rice, beans, white rice and stew. Wash, peel and slice the plantain, add little salt, toss the plantain to ensure that the salt is evenly distributed. Set your vegetable oil on cooker to heat up. When heated, add a considerable quantity of the plantain slices to the oil, leaving enough room for the slice to fry evenly. When the underside of the slices starts to turn golden, flip the slices on their other side. Fry till a desirable browning is achieved. Remove it and put in a sieve to drain out the oil. Serve with Fried eggs, chilled juice or soft drink.